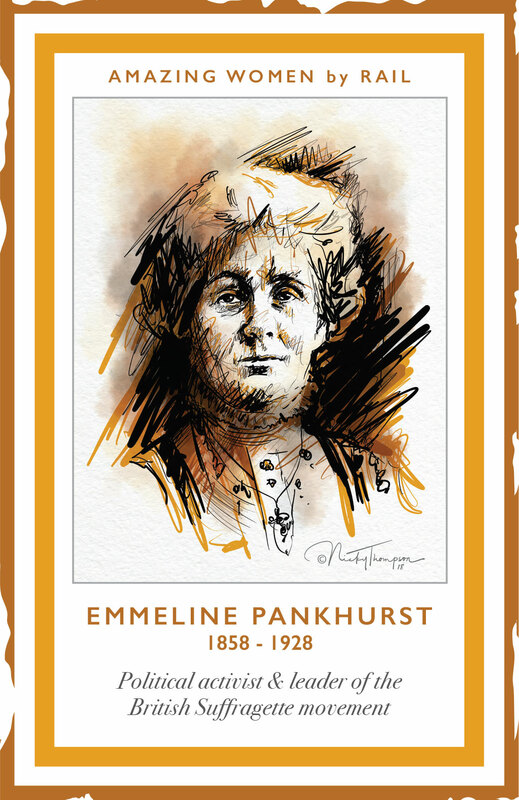 At 60-62 Nelson Street there is a Blue Plaque recognising Emmeline Pankhurst. “Emmeline Pankhurst (1858-1928) and her daughters Christabel Pankhurst and Sylvia Pankhurst, founders of the Suffragette Movement, lived here 1897-1907”. Emmeline Pankhurst, née Goulden (15 July 1858 – 14 June 1928) was a political activist and leader of the British Suffragette movement. Emmeline was born in Moss Side in Manchester and introduced to the issue of women’s suffrage by her parents. She married Richard Pankhurst, a barrister in 1879. After a short time living in London, the family eventually returned to Manchester’s Victoria Park. By now Emmeline was totally absorbed in the fight for women’s suffrage, as well as becoming a Poor Law Guardian where she observed the terrible conditions in the Manchester workhouse. After the death of her husband in 1898, Emmeline moved to 62, Nelson Street, a smaller house nearer Manchester city centre. Emmeline and all three of her daughters continued to campaign for the vote for women, leaving the house in Nelson Street in 1907. This campaigning continued until the outbreak of the First World War when Emmeline put her efforts into supporting the war effort. She died in 1928, worn down by her hunger strikes in prison and several personal and political crises. Emmeline did live to see the vote being granted to women over the age of 30 at the end of the war.